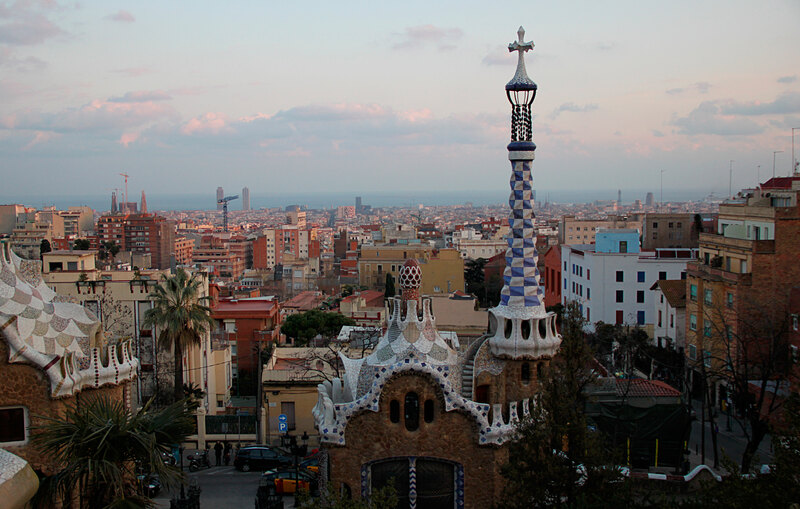 Get to know the city in 2 days with UnPuzzle Barcelona! Barcelona is an amazing city, worth staying for two weeks..or two months..or years ;) But in case you can’t stay here that long we’ve prepared for you the best itineraries to explore the city and enjoy the best of Barcelona! Here you can find the ideal routes to discover Barcelona in 48 hours prepared by a professional guide and Barcelona lover! Old city labyrinths and the sea! 10:00 - 13:00 Start your walk in the very center of the city - Plaza Catalunya. It’s hard to believe but only 150 years ago it was a rural area just outside the city walls. The actual square was built in the beginning of the 20th century following the design and idea of the 19th century to connect the old town with the modern city. From here you can go up - to the Eixample modernist área or down - to the Gothic Quarter. We recommend dedicating one day for each one. Let’s start from the older part - and dive into the labyrinths of the narrow Gothic streets. In order to not get lost we have a great option - our treasure hunt Must see Barcelona - that will guide you around this emblematic neighborhood. It is a unique adventure during which you will solve riddles in order to get from one place to another, getting the puzzles of the city together! The famous Rambla and delicious Boqueria, gorgeous Barcelona Cathedral, ancient Roman columns inside a modern building, the first Gaudí works - these are some of the many things that you can find during the route! You'll finish close to Plaza Real - at the very heart of the Gothic neighborhood and going down the Rambla, you’ll get to the port and the sea! 13:00 - 17:00 Walk by the port to get to the Barceloneta beach! Enjoy the sea breeze and the sand! And if you want to learn more about one of the most important districts in the history of Barcelona - do another treasure hunt which will lead you from the Drassanes metro at the end of the Rambla to the heart of Barceloneta! By the way, you can do it at your own pace without rush - and stop for a lunch in the middle, to have a traditional paella! 18:00 - 23:00 The sunset - is the best time to go to the Montjuic. From Barceloneta you can take a funicular that will take you directly to the one of Barcelona 7 hills - a short but breathtaking experience. As you go down enjoy the amazing views of the city, the beauty of the numerous Montjuic parks, go to the very top to the castle and check out the planes landing - the airport is just behind! Then go down to plaza España and find one of the city iconic views! If you are lucky you can see the Magic Fountains in action - a beautiful show with music and lights! Modernism treasures, parks and views. 11:00 - 14:00 Start your day with another adventure - a treasure hunt Modernist Barcelona - which will guide you around the modernist architecture gems all the way from Plaza Catalunya to Sagrada Familia. You will find the best spot to take pictures of Sagrada and learn about famous Catalan architects and the reason why it’s only Gaudí that is famous abroad. 14:00 - 17:00 Have a lunch and visit the magnificent Sagrada Familia! Remember to book the Sagrada ticket beforehand online - there are crazy lines that you’d rather skip. Our treasure hunt leads you around both parts of the parks, taking you to the most important places and explaining the history of its creation, Gaudí’s secrets and curiosities of Park Guell. 18:00 - 23:00 Go down to the city centre and relax in the Ciutadella park -The most popular place for Barcelona people to chill, especially when the weather is good. Finish your day with some tapas and a cocktail at one of the fancy bars in the Born neighborhood - the one that is right next to the park! Surprised? We managed to include all the main Barcelona sights - without any rush and at your own pace you can discover them in just a couple of days! The best way to spend your weekend in Barcelona and get the most of your short stay, what do you think?